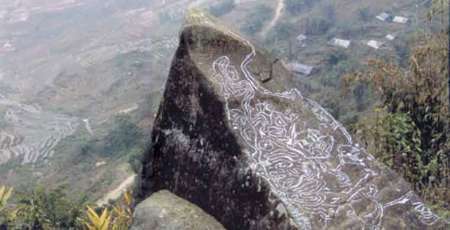 There is a Sapa with the narrow mountain passes on the erect cliffs, which always makes people remember like that. 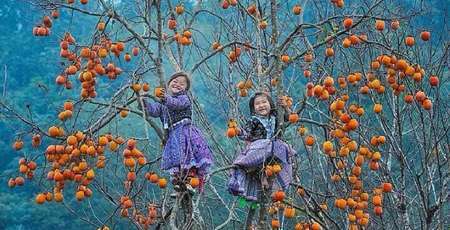 But there is also an idyllic Sapa in the rustic villages, a colorful Sapa in the ethnic markets bearing the soul of the highlands. 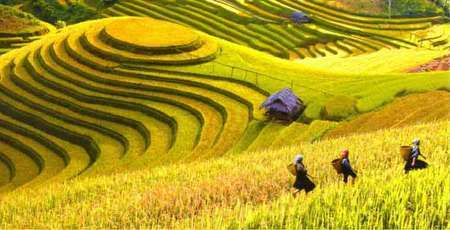 Follow Authentik Travel to better understand how the culture is handed down in the Northwest of Vietnam. Every Saturday night, people are eager to find out about the unique Love market among the ethnic markets in Sapa. It is strange to call it a market because there are no sellers or buyer. Right from the afternoon, when the sun had just disappeared from the top of the mountain, when the mist began to cast miracles throughout the small town, people caught the boys and girls wearing their most beautiful traditional clothes, gathering in small groups with their eyes glittering as if waiting for something. Together, in the Love Market they talked with a little bit of corn wine and their blushing cheeks; they sing along with the sound of a leaf-horn in their the flurried voices calling out to their partners. All blend together to create a scene imbued with the love of the North West highland. 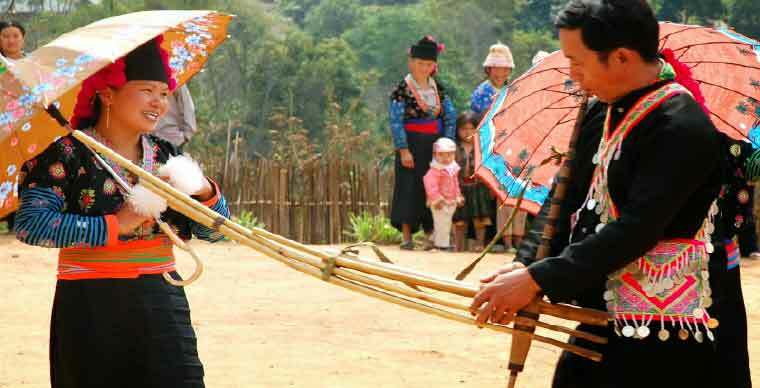 The love market happens, so that the couples can come to each other, and the love stories will be lit up again to hundreds of years in the land of Sapa. 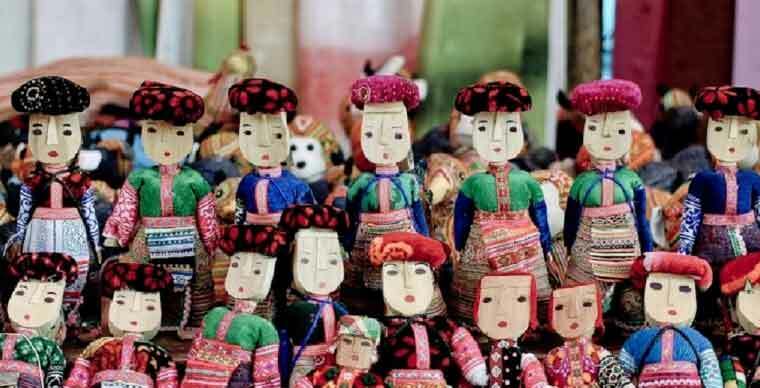 After the Love Market on Saturday you can spend your time exploring the Sapa Fair or Sapa Market on Sunday morning every week. 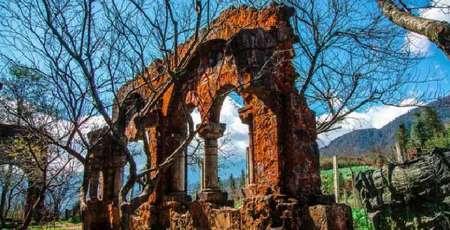 So from the previous night, people had called each other, prepared beautiful clothes, stored them in their pockets, and went to the new market instead. 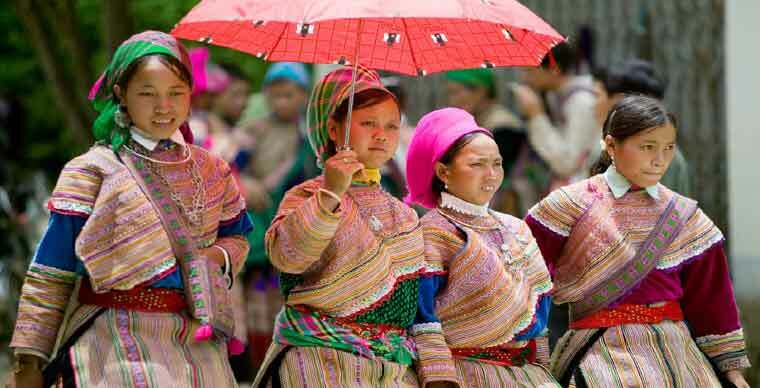 So, visiting Sapa Fair, visitors are like sinking into a multi-colored multi-bar space in the border area. There we caught the brocade glowing in the early morning sun, the indigo dresses simple but bearing the spirit of the ethnic markets northwestern. There we encountered booths with all kinds of goods, so that sellers and buyers could welcome, chat, horse footsteps, flute, flute. All of them make visitors cross in the strangely. Going to the market, almost everyone carries a few things to sell, sometimes just a few peas, lots of vegetables, that's enough for people to go to the market. At the market, the stalls are also very simple, just the temporary sheds, sheets spread out, then display the goods, but the market is always crowded, bustling, creating a distinct feature that cannot be seen anywhere else but Sapa. Visiting Sapa markets is to immerse yourself in the context of community activities of the ethnic markets culture in the highland Sapa. That's all it takes for everyone coming here to remember Sapa forever. Coming to Sapa, don’t forget to visit Bac Ha market, one of the most famous markets in the largest scale of the Northwest highlands. The market is held in the center of Bac Ha town every Sunday from early morning to around 2pm. It seems that everyone is eager to wait for the fair that they come to the market very early. The ones who are far away prepare to go from the previous night. They choose their best costumes and then put the silver ring on their necks and hands. They go to the market not only to trade or exchange, they come to find a community space. 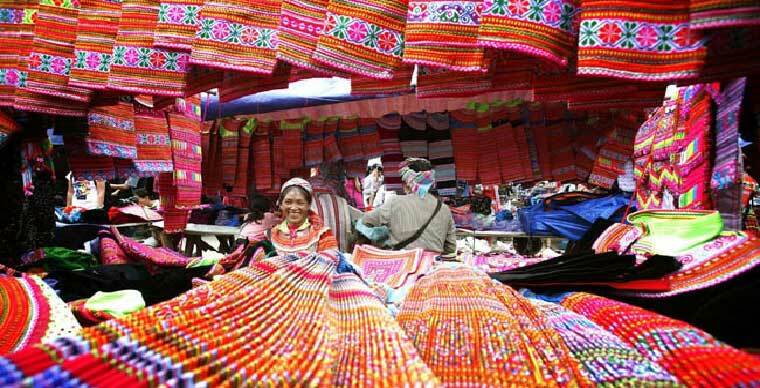 So, visit Bac Ha market, it is easy to see crowded markets, they chat, dance and enjoy interesting folk games. 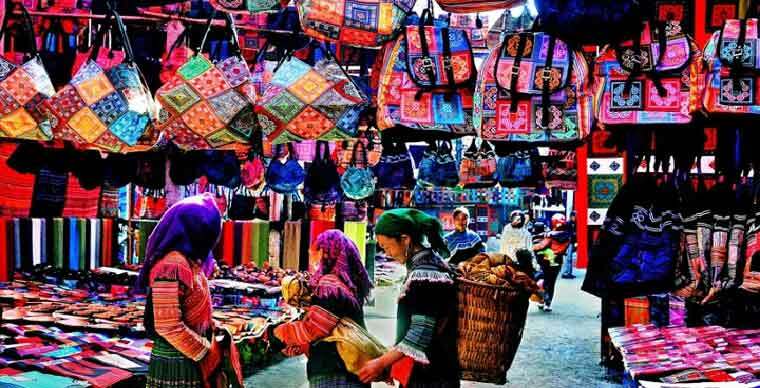 Bac Ha Market also brought us into a space full of colors. Going to the market, I couldn't seem to take my eyes off the colorful brocade outfits in the early morning sun, unable to forget the colorful stalls of dresses, hats, bags, purses, embroidered towels, handicrafts. The work was meticulously hand-embroidered for months by indigenous people. 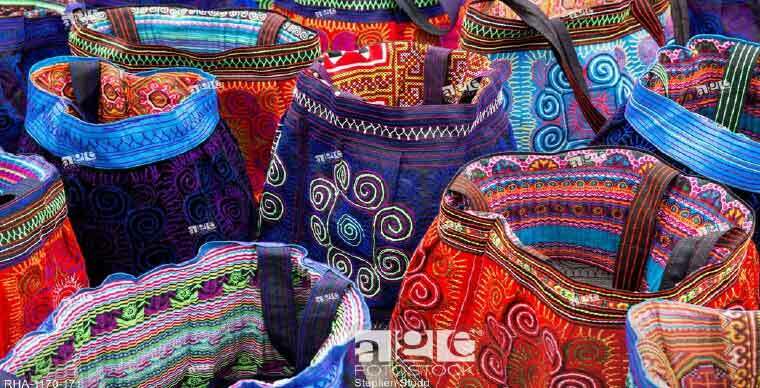 It's Bac Ha market that keeps the soul of ethnic minority tradition. Every time I visit this market or any other ethnic market of Sapa, I understand better about the life of a hundred years of Northwestern people, so that the soul will be so lightheaded, drunk in the singing of love, in the whispering voice and drunk in the passion of the wine cup The corn just clicked in, so that sometimes we could get lost in the eyes of the Mong Dao women. Muong Hum Market is one of the famous markets in Sapa that meets every Sunday, in Muong Hum, a highland commune of Bat Xat district. 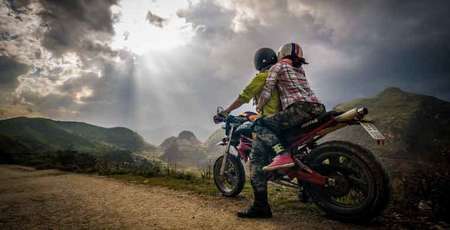 To Huong Hum market, visitors are not only intoxicated in the lyrical scene of the mountainous region but also immerse themselves in the unique rhythm of living here. Muong Hum market is always bustling, any voice laughs, flute, any sound of pig, crowing, mixed in the sound of forest wind, creating characteristic sounds can not be found anywhere else. 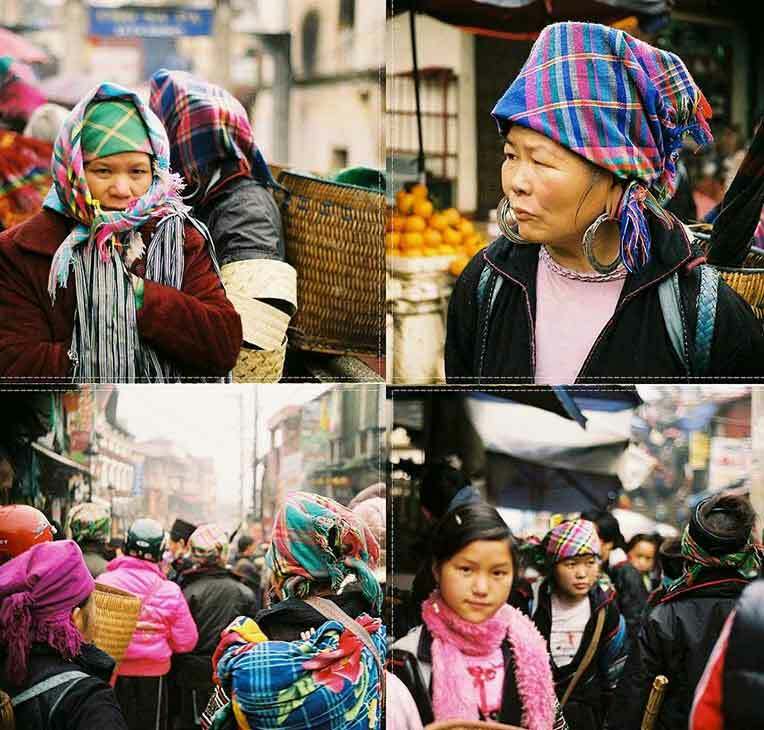 Muong Hum market is like other ethnic markets in Sapa, also makes people get lost in the world of colorful and brilliant costumes of the H’Mong people, or the graceful brocade of the Red Dao and Ha Nhi people. 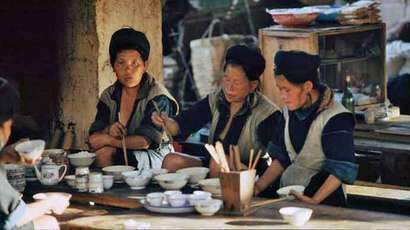 To sometimes on the way of excursions, we suddenly surprised when caught a H’Mong girl in a brilliant flower dress waiting for someone on the stream, then sometimes drunk in the colors of dark indigo with dotted pattern and also the red head scarf of the Red Dao girl stood in a silent corner. A painting of the land is too charming,making people can’t take their eyes off it.